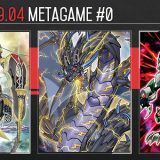 Welcome to Week #5, #6 of the OCG 2018.01 format. 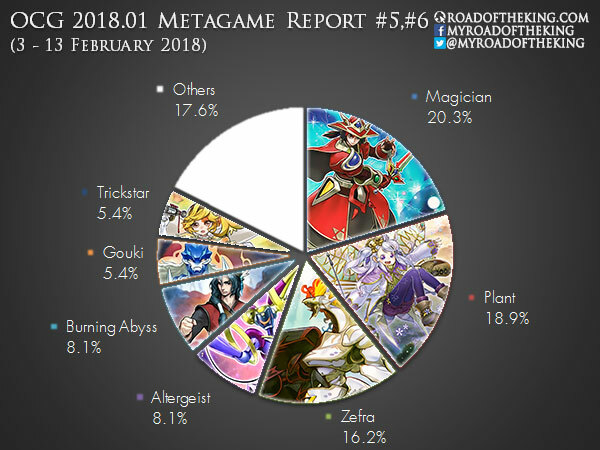 This report will cover 74 top-performing decks from 11 tournaments that were held in Japan during 3 – 13 February 2018. 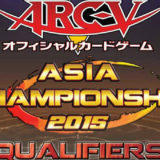 Update: Added results from “5th HAKATA CUP” and “6th HAKATA CUP in Card Strike”. Johny (ジョニー) went 8-0 and finished 1st in “2nd Ryuppy CS with Hatti CS” which had 72 participants. 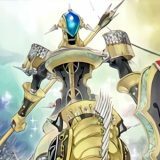 Altergeist has become a formidable and popular deck the competitive scene, and players are prepared against them. In addition to Red Reboot, Johny ran 2 copies of Denko Sekka in the Side Deck. 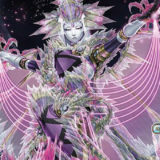 Denko Sekka would prevent the Altergeist opponent from activating their set Trap Cards, and thus denying the opponent of their Altergeist Multifaker play. 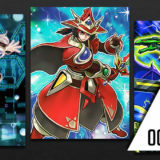 However, once the element of surprise is gone, the opponent could preemptively activate their Trap Card during the Draw Phase or Standby Phase and then trigger Altergeist Multifaker, all before Main Phase 1 when Denko Sekka could be Normal Summoned. 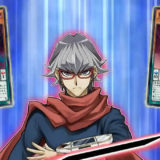 Shiota (しおた‏) went 8-1 and finished 1st in “24th Yu-Gi-Oh! Takatsuki CS with Hatti CS” which had 73 participants. 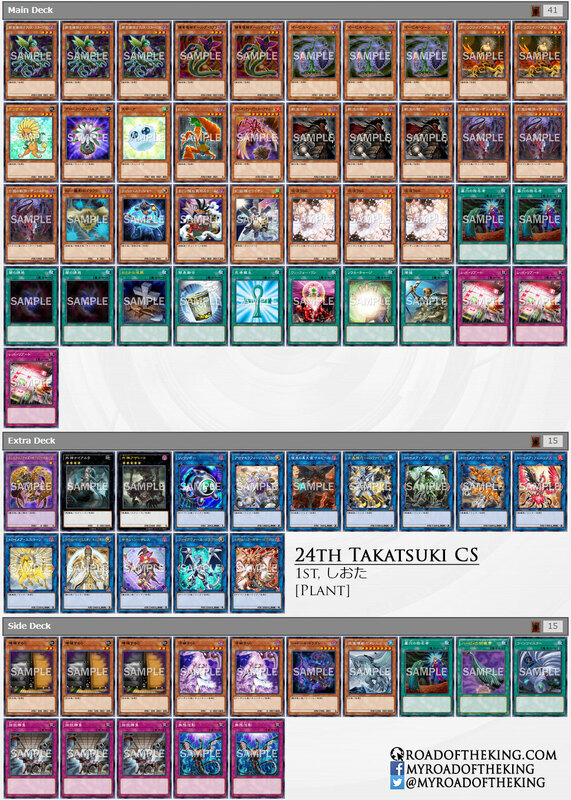 The biggest changes to Plant decks over the past week was moving Red Reboot to the Main Deck, and Maxx “C” to the Side Deck. This improves the FTK significantly as every single card in the Main Deck either contributes to the combo or counters any disruption from the opponent. Not only is Red Reboot useful for negating Infinite Impermanence, it is also devastating against Altergeist. 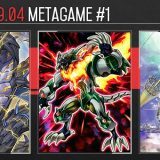 This makes running Red Reboot in the Main Deck a compelling metagame call. On Saturday, Hase (ハセ) went 7-0 and finished 1st in “Kanto’s Strongest Decisive Battle” (Team 3v3) which had 23 teams (69 participants). 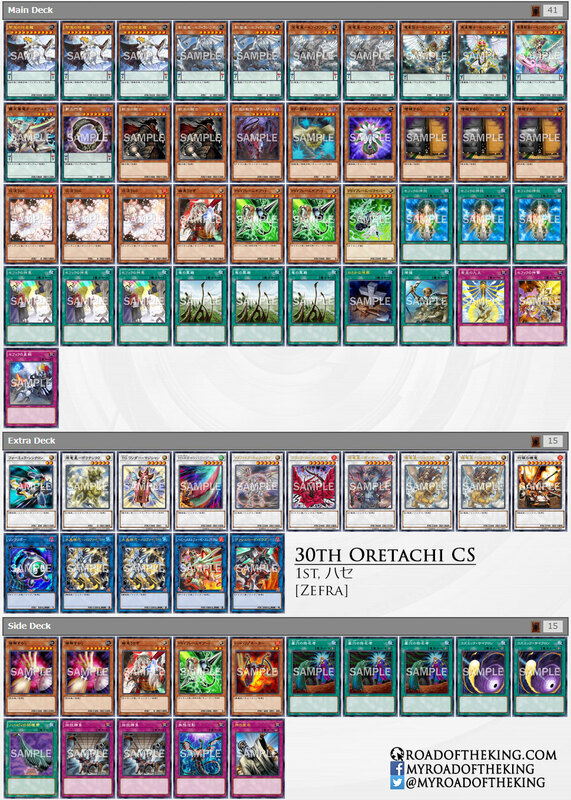 On Tuesday, he went 6-1 and finished 1st in “30th Oretachi CS” which had 64 participants. Inspector Boarder was gaining popularity as a tech against Altergeist. However, Hase found that the usage of Inspector Boarder is too narrow, and was not quite worth a space in the Side Deck, citing that Pendulum decks are more popular in the Kanto region. The Pendulum decks, Magician and Zefra, continues to produce consistent results. 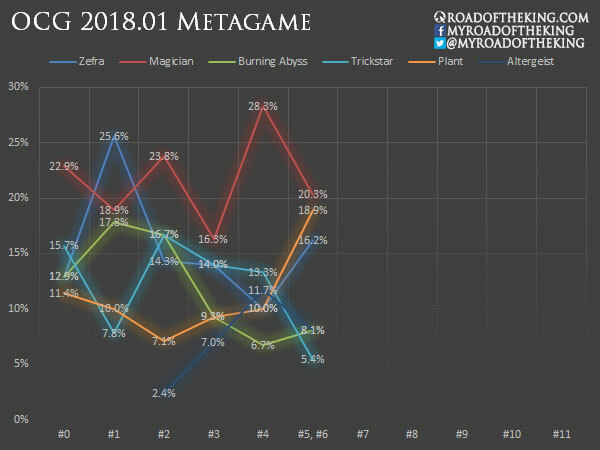 Plant spiked in popularity and performance in the past week, almost tying with Magician for the top position. What the heck happened to Trickstars? They’ll be back next next. 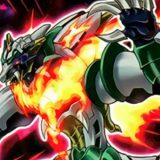 What’s the actual win condition of the Gouki deck? They seem to amass resources through Isolde and Saryuja, but what do they actually do with them? Trigate Wizard, Troymare Goblin, Troymare Mermaid, Troymare Gryphon, Troymare Cerebus, Troymare Unicorn. 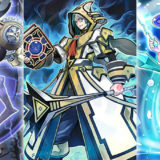 I have one question that why many SuperKingMagican decks don’t have Odd-Eyes Vortex Dragon or Norito the Moral Leader. Their final field will be easily destroyed by Dark Hole or Evenly Matched. 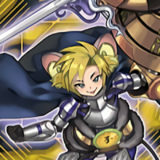 I think Extra Deck could have 2 space for Odd-Eyes pair. 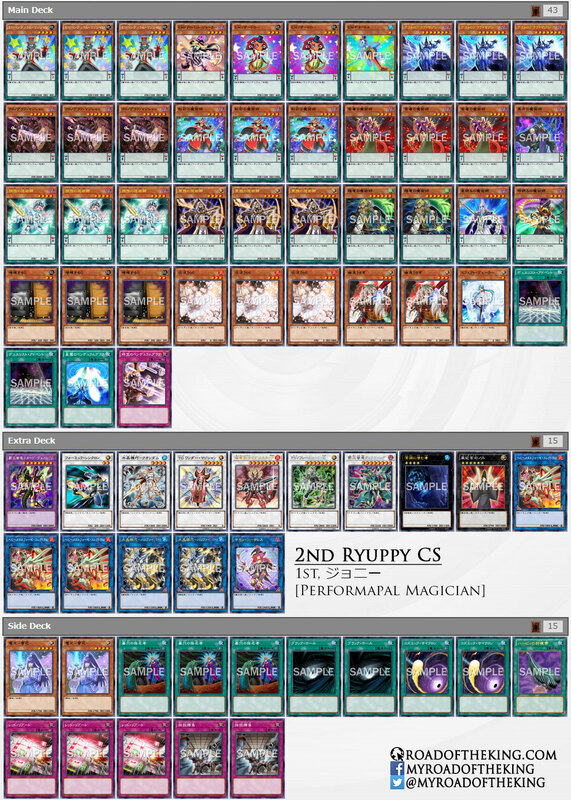 With needlefiber you can put plenty of interrupts on your opponent’s turn expending way less resources than looping astrographs for absolute, so it’s almost never needed, and some lists do run norito, and in the end with red reboot and call from the grave it is just so much easier to just otk uninterrupted that you don’t need to focus on a defensive board if you can just push for game at demand. Dark Hole is not quite as devastating since they can always rebuild on the next turn as long as the Pendulum Scales remain. 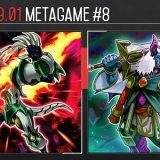 Evenly Matched is more problematic but most Japanese players circumvent it using PSY-Framelord Omega. 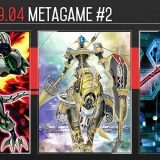 If they suspect that the opponent is going to play Evenly Matched from hand by proposing to move to the Battle Phase, then they would activate Crystron Needlefiber to bring out Crystron Quandax and then Synchro Summon PSY-Framelord Omega. Omega’s effect can banish a random card from the opponent’s hand, in an attempt to banish Evenly Matched. 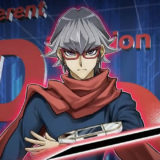 And even if Omega failed to banish Evenly Matched, they would still have Omega on the next turn to muster a comeback. 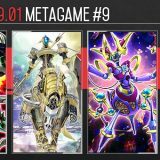 “Welcome to Week #5, #6 of the OCG 2018.01 format.” not it´s OCG 2018.02 ?? You must be new here. The date refers to the most recent banlist. You must be new here; the date refers to the most recent banlist.